Rare Steakhouse is one of Melbourne's finest steakhouses, with three restaurants located in the city. We are committed to serving premium quality produce and creating a welcoming environment where customers can savour the flavour of Australian beef at its very best. Our beef is sourced from across the country, ranging from Gippsland and Ballan in Victoria, Murray Bridge in South Australia and Rockhampton in Queensland, and is graded by Meat Standards of Australia for its cut and quality. Each cut is chosen for its distinct characteristics, flavour profile and eating quality, as well as its impact on the environment. 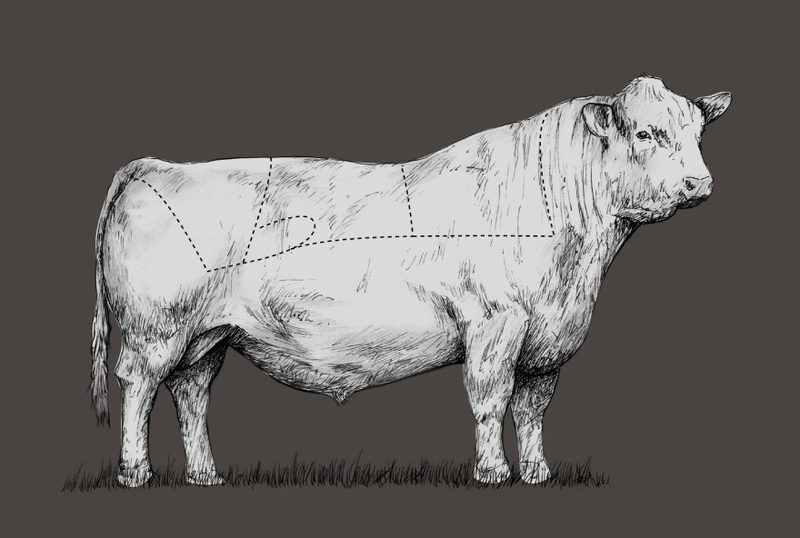 Learn more about the different cuts of beef and sustainable farming practices.